Dance, theatre, and arts critic, based in San Francisco. At the heart of UPAJ: Improvise -- a documentary about the unlikely liaison between an elder statesman of Indian classical dance and a rebellious young African American tap dancer -- is a bracing message for all warriors fighting to keep the classic arts alive. No platitudes about "innovate or die" or watered down "fusion" choreography for the attention-deficit YouTube generation. Understand where you came from, these two great artists remind us -- even as you look forward you must look back. In reaching out to the millennials whose exposure to dance is limited to Bollywood movies and reality TV competitions, Pandit Chitresh Das and Jason Samuels Smith vivify the history of their respective art forms, and trust in the power of live improvisation to ensnare new audiences. 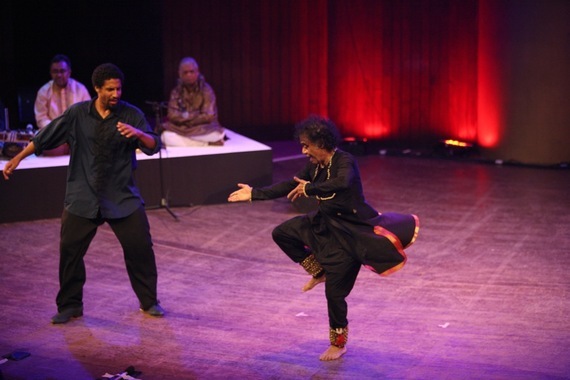 The 68-year-old kathak master whisks the 32-year-old freestyler off on his first trip to India and a whirlwind of impromptu performances. This galvanic film by Hoku Uchiyama captures intimate and sometimes shocking moments on the journey that sowed the seeds for Das and Samuels Smith's renowned India Jazz Suites collaboration, and the impact of their appearances on youthful audiences, particularly in India. Along the way, they share details of their personal histories, acknowledging their gurus, inspirations and struggles. Personal demons emerge. Smoke rises from floors and stages across India as they stamp and slide and whirl in electrifying improvisations to the strains of classical Indian music and American jazz rhythms - like a b-boy battle that bridges generations, styles and cultures. Das and Samuels Smith engage in a unique, virtuosic conversation that stays true to their traditions but finds commonality of inspiration and perspiration. Having aired at select film festivals around the world over the past year and on PBS stations nationwide, UPAJ: Improvise comes to the San Francisco International South Asian Film Festival tomorrow, November 8, 2014 at 4 p.m. at the Castro Theatre, in a rare event that features Pandit Chitresh Das and Jason Samuels Smith in a live performance at the end of the screening. Details of this and other films being screened at this year's festival are available on the festival website. 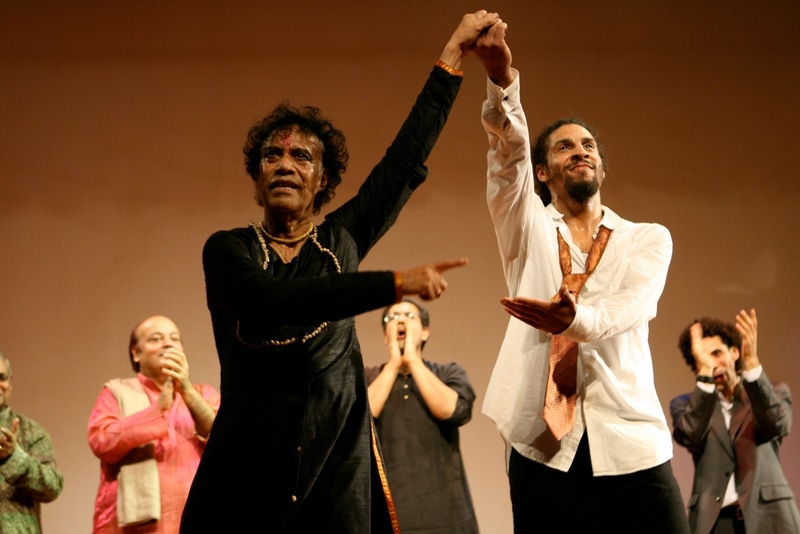 Photos courtesy San Francisco International South Asian Film Festival: Pandit Chitresh Das and Jason Samuels Smith in performance.